Despite the odd 44 degree summer day, Melbourne is a pretty rad place to live. As the world’s most liveable city for seven consecutive years, most people know Melbourne for its sport, culture and its many festivals and nightlife. But in case you want more, here’s a bunch of reasons why you should move to Melbourne. Melbourne gets a bad rap for its unaffordable housing, but this is in comparison to other, less populated areas of Australia. If, however, you look to other major capitals in the world, Melbourne fares a lot better. A house in the luxurious London area of Kensington will set you back on average 2.4 million AUD, while a house in trendy and gentrified suburb of Brunswick, Melbourne is around 1.1 million AUD. 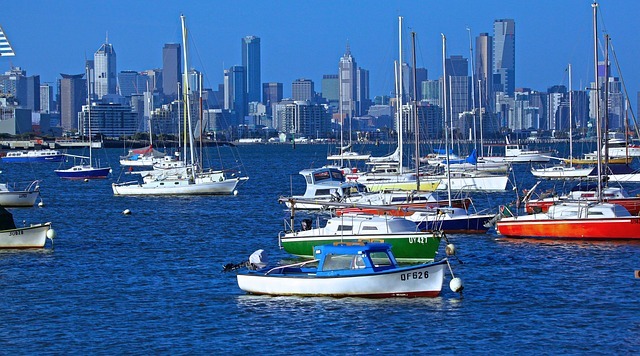 At a similar distance to their respective CBD’s, Melbourne does provide exceptional value for money as a global city, and it’s not yet overrun by high density living on the inner outskirts. As many international students know, Melbourne is also home to the nation’s number 1 university which is also 32nd in world rankings. For a country of only 22 million, The University of Melbourne certainly punches above its weight. Apart from the tertiary sector, Melbourne also boasts a strong technical and further education or TAFE industry. Whether you are looking into a childcare course in Melbourne, AUSLAN or certificate in advanced wool handling, there is a provider out there that will help you gain the skills you want. Melbourne is blessed with many public, outdoor green spaces. Whether you hit up the Botanical Gardens, the Treasury Gardens or Birrarung Marr on the banks of the Yarra River, lush greenery is walkable from the very heart of the CBD. If you require medical attention, there are several world class hospitals that will see you in the event of emergency and the standards at A&E are very high. For those interested in elective procedures, there are many reputable private hospitals and cosmetic clinics that will address you needs in this department, whether you’ve headed to Melbourne liposuction, varicose vein treatments or tattoo removal. It’s difficult to single out one cultural aspect that defines Melbourne, but its variety of international influences means that its nightlife, food and arts scene is vibrant and diverse. You’ll find easy access to large arts institutions such as the National Gallery of Victoria NGV, Australian Centre for the Moving Image ACMI and Australian Centre for Contemporary Art ACCA, many with substantial free exhibitions to enjoy. Street art adorns many of the city laneways and you’ll find copious live music venues from the grand and impressive, to more intimate bars which are the heart of independent music across the city. If you’re feeling peckish there are known precincts for international fare such as Italian, Greek and Vietnamese, but the city is dotted with many places that blend a number of gastronomic influences. From fine dining to food truck takeaways, Melbourne has it all.